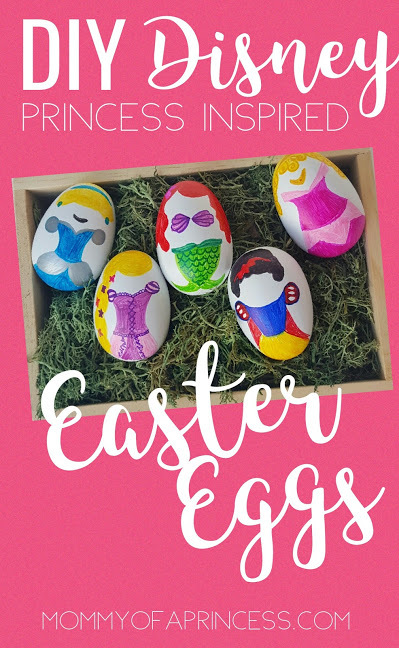 Making Easter eggs with your princess for the holiday? 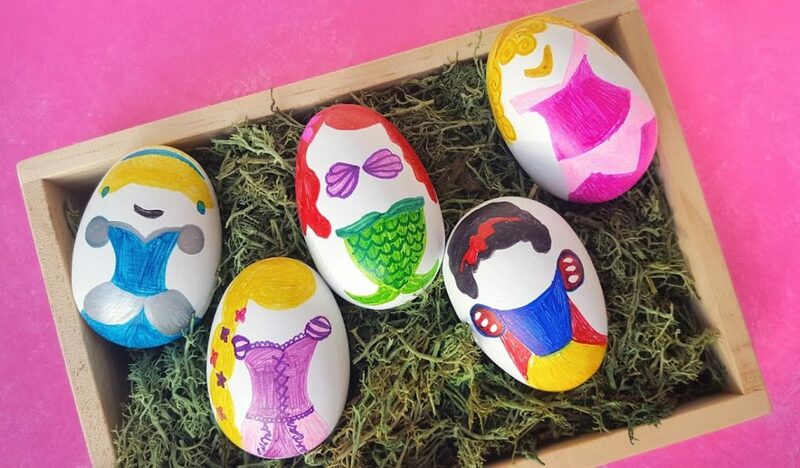 Before dragging out messy dyes, read how I made these Disney Princess Easter eggs completely mess free! I purchased pre painted wooden eggs from Hobby Lobby (for 40% off). These have a similar feel to real eggs. If you want to create these as a decor piece to use again the wooden eggs are the perfect option. If your daughter loves hard boiled eggs this technique will work on real eggs too. All you need is SHARPIES. That’s right, just Sharpie Markers. These are easier to use than paint and cleaner than dye. I lightly sketched my Princess dresses on the egg with a pencil and then colored them in with Sharpie. I chose not to draw faces as I feel those are always more difficult and can look rather cheesy if not done well. The dress designs were pretty simple and could of course be done more intricately. You can also do other characters and be as creative as you want to be. I hope this inspires you this Easter to decorate your eggs in a fun and unique new way.